There were 94,900 active real estate brokers in California during March 2019. The number of active brokers continues to decrease and has yet to find a bottom since declining from the January 2010 peak of 109,500. The number of active agents has steadily increased from a 2014 low to a mid-2018 peak. Since then, active agent numbers have fallen back slightly to 203,700 in March 2019. Historically, approximately 1.5 agents actively practice per active broker. This ratio grew during the greatly inflated agent population of the 2000s to as high as 2.7 agents per broker. This ratio fell in the aftermath of the Millennium Boom but reversed direction beginning in 2014, currently at 2.0 active agents per active broker. As real estate professionals begin to feel the effects of declining sales volume and home prices in 2019, expect discouraged agents to continue to slowly drop out of the active population. The number of brokers will begin to stabilize following the next economic recession, expected to arrive in 2020. 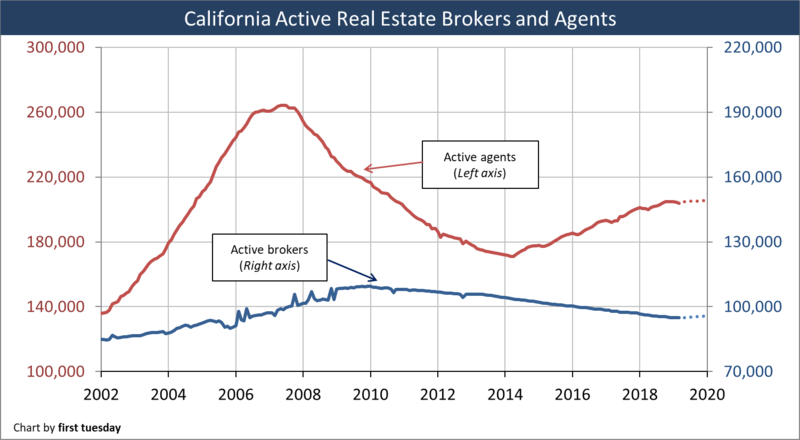 During the following recovery, the number of brokers in California will slowly ascend back toward peak numbers experienced in 2009. Expect the next big wave of new licensees to arrive in the years following 2021, as public confidence returns through added jobs and increased home sales volume. Updated April 18, 2019. Original copy posted March 2010. The above chart tracks the number of active real estate brokers and agents licensed in California, based on data released monthly by the Department of Real Estate (DRE). These numbers exclude licensed brokers who do not use their licenses, and licensed agents who are not employed by a broker. Do you plan to renew your real estate salesperson or broker license again? In a stable market, a natural equilibrium develops between active real estate agents and brokers. This ratio has historically found balance at the level seen in 2002; approximately 1.5 active agents for every active broker. As real estate entered its boom phase of the market cycle in the mid-2000s, new agents arrived en masse with the optimistic belief that extra money was to be had working real estate. In 2006, following the peak of the boom, there were a total of 2.7 active agents for every active broker. The high number of agents accompanied an inflated market, with unsustainable prices and little sense fundamentally. After hitting the 2006 high, the ratio of active agents per broker began its downward trajectory towards historic norms bottoming at 1.6 in mid-2014. However, due to rising home prices, the ratio began to increase again, currently at an average of 2.0 active agents for every active broker in 2017. Keep in mind that the active licensee totals above understate the real depth of the problem, as many licensees remain technically “inactive.” They presented themselves as licensees to speculate in property as principals or negotiate purchases for family members, all without being employed by a broker. In October 2006, for instance, there were 261,000 active agents, but 376,600 Californians held agent licenses. Compare this to the more stable period of January 2000, when there were 122,300 active agents and 196,500 total agent licensees. Rather than just providing brokerage services to other individuals, the superfluous agents — active and inactive — bought and flipped properties. They speculated in the market while operating as insiders pulling (or saving) a fee when they, their family members and their friends decided to buy the property they located. Even now, as we anticipate a return to core economic principles (supply for sale vs. demand by actual user-occupants rather than speculators) and real estate fundamentals (price-to-rent and mortgage-to-income ratios) in the residential and commercial markets, the chart above shows the licensee population is above the standard 1.5:1 agent-to-broker ratio. Expect the current ratio to drop slightly until licensee numbers rise significantly, expected around 2020. Will this ratio last after the trough in licensee population? Not likely. The boost in home prices experienced in the end of 2012 through 2014 caused increased optimism among the agent population. The perception of a healthy real estate market due to price increases has lured more individuals seeking career opportunities to become real estate agents. New sales agent and broker licensing jumped in 2013 and remained at their highest levels since the housing crisis fallout in 2008. Insufficient lender regulation to protect public institutions and society from harm creates a mentality that will eventually lead to another destructive real estate boom. When this happens, possibly around 2019-2021, agents will begin to rapidly multiply once again, and standards will diminish. It will be up to the DRE to protect society from adverse licensee conduct. To do so, they will need to tighten up the agent licensing exam to control a too-permissive passing rate. This move will limit new agents to the most qualified, dedicated and committed. Whether the DRE will be politically able to do this in the face of opposition from big brokerage offices is doubtful. Large brokerage operations require a constant high number of agents-for-hire to blanket the market when momentum takes hold. California demographics, and the extremely low present demand by occupying homebuyers, point to this return of “excitement” in the field of real estate around the time period of 2019-2021. Even then, the rate of buyer-occupant homeownership which has dropped from 61% in 2006 to 54% in 2017, will continue to suffer. Thus, fewer brokers and agents will be needed to service the purchase and sale of homes. As mortgage rates begin their steady long-term rise, downward pressure will be put on home prices. This will work well for brokers and agents representing investors interested in acquiring income property. lenders (in the case of real estate owned property (REOs)). In 2013, home sales volume essentially matched the years 2009 through 2012. 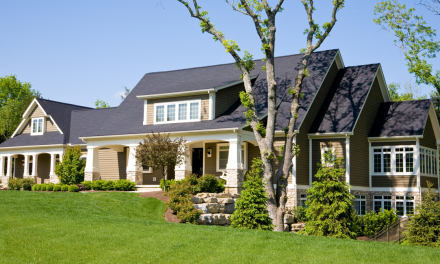 2014 experienced home sales volume roughly 7% below 2013. However, home sales volume picked up in 2015 and ended the year level with 2013, with 2016 sales volume ending roughly level with 2015. For brokers and agents looking forward, sales volume is forecast to remain flat to down in 2018 in reaction to rising mortgage rates, low inventory and too-high prices. With the current batch of licensee entrants embracing more sustainable, long-term real estate strategies, the “quick-buck” real estate agents are more reluctant to enter the profession than in earlier years. No longer do we see the sort of high competition between agents that helped push up prices from 2003-2005. The return of lending fundamentals, pushing higher down payments will set a slower pace in the real estate market than has been experienced at any time during the last decade. If it weren’t for the cash-heavy speculator interference experienced in 2013, California property prices would have remained at their 2012 levels without the bounce. Large single family residential (SFR) brokerage operations with branch offices have always depended on a constant flood of newly-licensed agents to fill their cubicles. This practice was enabled in the past by a high agent turnover rate, as freshly-minted agents burned through their family members and social contacts without developing a viable client base. Brokers and office managers were able to mitigate the eventual loss of sales production from client-exhausted agents by aggressively soliciting new licensees to bring in as replacements. These “list-and-run” type agents have disappeared from the ranks of new agents, as the total number of new agents has dropped dramatically. During the peak years of 2004-2007, 5,000 new agents were licensed monthly. Since October 2007, the number of new sales agents has remained steady with a slight general decline, from 1,100 monthly at that time to about 1,000 monthly through 2012. Then, licensing spiked in the first half of 2013 (due primarily to excitement caused by the price movement resulting from the speculator frenzy). first tuesday predicts sales agent licensing will remain around the current level of 4,500-5,000 each quarter until 2018, when home sales volume is likely to reach a sustainable recovery. require agents to “get back on the street” and gather property information and smoke out the deals to generate leads and sales. Even more troubling for large brokerage operations is the bickering arising over brokers’ fee-splitting arrangements with their agents. In the meantime, employing brokers take in fewer dollars and shoulder the costs of overhead, promotion, often servicing unmarketable listings at great cost. Gradually, the younger and more aggressive agents employed by large brokerage offices will look to become brokers or team up with brokers and other agents relocating into smaller operations. Others with a long-term client base will join “rent-a-desk” operations in order to reduce the fee percentage taken by the broker. Agents jumping out on their own too often do not have the business acumen to set up and operate a broker office, even if it is their own one-man operation. They attempt to do so under the belief, right or wrong, that their current broker is getting too large a share of the fees. Sellers who continue to demand unreasonable prices (the sticky price phenomenon), or who involve themselves in other conduct which keeps the property from selling within a 30- to 60-day marketing period, need to have their listings cancelled and returned. All this conduct suggests that fewer agents are needed by brokerage offices to effectively service the needs of the public. Blasphemous talk? Not at all if an efficient brokerage operation is what it takes to get into the full recovery stage without going broke. Brokers who advertise property that looks good from the curb, and who set listing prices appropriate to the property (prices which are likely to quickly generate offers at near the listed price) will get an offer within 30 days. Such conduct will provide for the survival and success of the rational seller, the broker and their agents. At times of speculative fervor, which are always short in duration, discussion of a stable office environment might seem like nonsense to those with a short-term outlook. In a recovering market, time lost hurts everyone, a lesson inept policy makers – both state and federal – are beginning to learn from the totally ineffective and ongoing “extend-and-pretend” loan modification fiascos and 2009-2010 federal and state homebuyer subsidies. Brokers who learn to cut overhead and eliminate operating inefficiencies while beefing up their staff of performing licensees in 2017 will be in the best position for the up-tick in the annual sales volume likely to begin by 2018. Employing brokers operating successfully in 2017 will be defined by their ability to plan ahead. 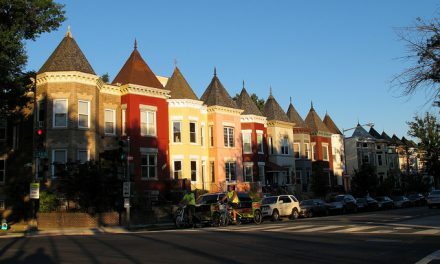 They will have to be visionaries if they are to get in on the action when the federal government and Wall Street return to easy lending standards in a time of newly lucrative home sales. 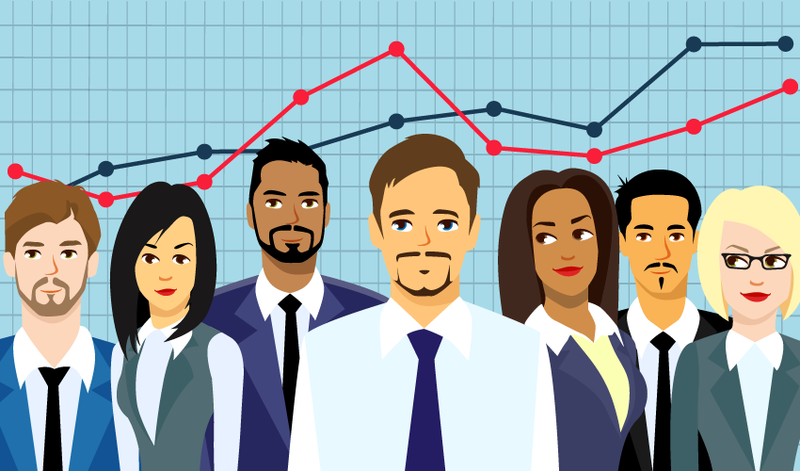 In the near future, small brokerage offices with fewer than 16 agents will probably continue to recruit agents as they always have. Large brokerages typically use mail-blitzing campaigns and seminars to entice both seasoned MLS agents and newly licensed agents into their offices. Conversely, smaller offices traditionally recruit from local word-of-mouth contacts. Brokers maintaining a single office with a staff of agents tend to have several different types of business clientele and need to focus on more than scope in the numbers game to drive the listing and marketing of SFR properties. These smaller brokerage offices may well attract the more thoughtful entrants into real estate looking for the long-term advantages of being around others who work income property, land, and property management. The boom during the mid-2000s saw five times as many individuals enrolled in licensing courses as compared to the late ‘90s. That licensing education revenue is all but gone for the schools, reduced to 15-20% of its peak 2007 four-year run. If that is not bad enough for real estate educators, the license renewal rates among brokers and sales agents (especially those hit-and-run agents who arrived during the past six years) dropped to unprecedented levels by 2011. While renewal percentage rates jumped significantly going into 2013 on pricing bubble enthusiasm (despite the slipping sales volume), renewal percentages will not begin a sustainable rise until later in 2017. The average rate of sales agent license renewals in 2017 was roughly 82%, down slightly from 2016. Renewal rates will likely remain about the same level through 2018. Brokers are hovering near a 90% renewal level. Many let their licenses expire, then wait to see if the real estate market picks up during their two-year grace period for late renewal. Some of them cite price movement reports in 2013 as a reason to renew when they otherwise would not have done so. Most will be disappointed as the volume of sale has remained defiantly flat in spite of very volatile price movements. Several years remain before the next boom arrives – around 2019-2021. To operate a successful brokerage office, the broker needs to employ viable agents. It is the quantity and quality of agents that produce the end result sought by brokers to be successful, i.e., broker fees. As in all service businesses, the linchpin for achieving success is the ability of management to orchestrate the efforts of qualified agents. Thus, agents are left to learn the trade by observation or some third-party training, and to hone their skills by trial and error. This is an empirical result based more on the agents’ good instincts than on training, procedural policy and constant supervision by the broker — all required by law. Brokers need to be more than distant observers limited to providing remote oversight for the agents. They or their administrative assistants and managers need to learn to supervise and police the business-related conduct of their agents. Further, the broker needs to be actively involved in the agent’s fulfillment of the duties the broker owes to clients with whom the agent has contact. Thus, the agent knows from the beginning just what level of production is expected by the broker as a requirement for remaining with the office. Also, the broker will be demonstrating their expectation that the sales agent is to maintain a competitive attitude about producing listings and buyers that do deals. Further, an environment will have been created with a greater probability of producing purchase agreements and closings, which spells success for all involved. See “Human resources: (be)low-level management by brokers,” Chapter 2 of first tuesday Realtipedia Volume 7: Real Estate Matters. Current first tuesday students may access Realtipedia from their Student Homepage. This article will certainly help me I am in the beginning of my real estate venture. Real estate agents are now in high demand. You should check how real estate is growing and become a great career option. I am planning on purchasing some Real Estate in your country. I would like you to help us find good real estate for immediate rent or purchase. Also of importance to me is the need for you to provid full information on expected tax or any other charges that are required for foreign purchase. We stopped using real estate brokers because few brokers understand the term brokering a deal. It means bringing the selling party and the buyer party together and help to construct a for both parties an acceptable integer deal. We do not need copy and past most of the agents do that, in some cases the documentation provided is poor outdated and uninformative. Decent they demand knowing everything about the buyer including proof of funds. They refuse to show their mandate to sell and refuse to give any guarantee that the so called PoF or Bank letter of comfort that to will only be show n to the seller. By the way the financial comfort provided is not even worth the paper that it is written on.Third the real estate agents push the prices upward which is good for the seller and bad for the buyer. However it destroys the business and may result in the future in balance sheet adjustments. Last point is their commission : they will want to sit in on any conversation between seller and buyer and would if they could have somebody permanently living with the buyer and seller in order to control then deal. 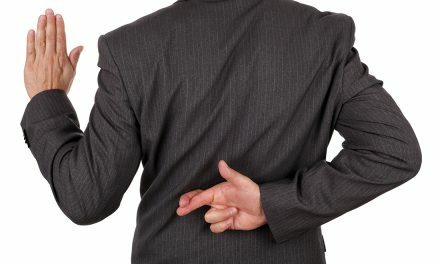 Do the real este agents or their companies provide any guarantee about the claims they make? of course not. Last but not least there is the arrogance of some of these top agents in HNW circles by not answering and claiming they know it all. This may work int he USA but it will push away overseas investors. They also believe by taking properties of an don the market that they can improve their sales chances. We use a lawyer who is providing us with all of the necessary details information we need without revealing anything and is capable of negotiating a deal with the owners that increases the sellers margin and provides us with a better an secure deal. Show me any broker who is prepared to do that! You obviously don’t know about demand and supply. Real estate agents do NOT push the prices upward. The market does that. It’s the result of buyer demand. Agents do not have any control over pricing. They just want to get a house sold as quickly as possible. They don’t care about an extra $20,000, as they get less than 2% of that, which in this case is less than $400. Would they botch a deal over such little money? You can bet most agents would not. What is a broker? There are broker license holders who are functionally agents, then there are brokers who employ agents. Your article appears not to distinguish between the two. Would like to know how many brokers were under contract to an employing broker in 2010, how many worked solo, and how many worked primarily as employer/supervisors. That would give a much more accurate picture of the profession. John Souerbry – My thoughts exactly. Making this a totally irrelevant, superficially “researched” and understood article of little value. I want to become a real estate agent. After reading these articles now I am not so sure. I’m an optimistic person, but I need to make a living but don’t want to be ripped off in the process. If I am committing myself to studying and taking the necessary exams to become licensed, I would like to at least make a living afterwards. Advise and thank you. Real estate is a business (sales business, not a profession, the title companies are the professional side) where the 80/20 rule applies (80% of business done by 20% of agents, if that) Even if you are the listing agent, the commission is going to be split with your broker, and 90% of the time with the buyer’s agent and broker. So your cut might average 1.8%. (6% x .5 = 3%, then 3% times .6 =1.8% Typically agent 60%, broker 40%). So if you are in on $2,000,000 of sales in year (unlikely until you are in the game a while or stumble into something by luck), your gross will be $36,000, of which 15.24% ($5,486) goes to self employment tax off the top, Add in your MLS fees, vehicle, meals, insurance, etc, etc, and you won’t have much if any left. That is probably a best case scenario for the first few years, most really don’t make anything and just rack up expenses. That is why there are a lot of female agents, with the spouse providing the income and health insurance base. And full disclosure, I have a degree, am retired from a professional career in land management, and have a real estate sales license and experience. I would only advise those in very financially sound situations to venture into real estate sales. Though the classes are interesting and mostly about the legal and regulatory side of the business, the day to day reality is more like being a car salesman, so consider the move carefully! Success depends a lot on if you know people in your area who would use you for their business and what firm you start off with. Many firms have an 80-20% split with a cap, meaning they will stop taking your money at say $15000. If you sell a $450,000 home with another agent, you would gross $13,500, pay your broker $2700 and take the rest home. You do pay monthly fees or quarterly, depending on your house “brokerage firm”, I am with an independent and only pay $120 a quarter to two brokers in two states. The annual NAR and boards are around $800. If you are with a Keller Williams or ReMax they also charge you a monthly fee. Commercial brokerage is different, land and business sales. There is money to be made, but it takes money to make money, as they always say. If you have a savings account, you will use it. If you have friends and family who are ready to use you, it will go smoother. This article is incorrect! There are currently fewer real estate agents that sell real estate due to the fact that loan officers who work for brokers through the BRE must become a real estate agent. Most loan officers I know have never sold real estate and have no desire to do so even though they are included in the chart in this article. I would like to gratitude for sharing such a great and helpful information with us. A good agent will always be about what is going on in the market about properties or houses price rate. I think if you want to hire a real estate agent for selling or buying a house or other properties, then you should choose a licensed and experienced agent that helps in everything. Great article. I always take my work seriously and keep up on the new laws. Education is knowledge and a key to staying in business. I can relate to a lot of the comments about it too. Ethics must be no.1 priority. I treat my clients the way I would want to be treated. I get a lot of referrals from my clients and some of my clients have done multiple transactions with me. As agents we see a lot of good and a lot of the bad in the business. It’s not hard to be a good agent and be ethical. Sorry to read the complaints about training and the number of agents, etc. Freedom is a *****. You are free to market yourself in the best possible manner, and to flourish or fail accordingly. It is the exact opposite of the govt. No one owes you any assistance at all, unless you are somehow in tune with them, and no one should be envious of your success. We have all seen newcomers enter the field and waltz right past our success, based upon their zeal and community reputation. Regarding the overly optimistic projections of various Real Estate groups: they would not be so harmful if only the overpaid, highly touted Teachers, dared educate the population about financial matters. Who the hell cares what John Quincy Adams had for lunch, if you can attend school for 12 years and barely know the how debt and interest rates work. ? The main thing to “improve” the quality of this “profession” is to eliminate the 0 day sale. It being allowed is one of the most hard to justify things in the business. Dual agency can be somewhat defended because of the agency disclosure forms, but 0 day is impossible to justify. thank you liz for saying what needs to be said. the realtor associations sold out the agents years ago and have done very little if anything to further the value of the ‘realtor” brand at any time i can recall. their “economists” are cheerleaders and have never been willing to call the market correctly even when it was tanking. the assn of realtors accepts for membership anyone with a license, a check and a pulse…it is about as exclusive a club as a supermarket savings club. it is shameful that a newly minted realtor is on par, as far as the association is concerned, with an agent with 20 years in the trade and a nice book of business. i dropped my membership years ago…they are of no value to me. If the sense is we need more licensees, I disagree. What we need are more educated and professional licensees. Its the Quality versus Quantity argument. On the other hand the Realtor Associations just want more… more members means more dues which means more money for staff salaries and benefits because I haven’t seen Realtor dues going down at any time during this downfall. Did anyone see the Brokers Insider article showing NAR’s Executive Officer Dale Stinton making $1,938,726 in 2010, that was after receiving a $500,000 raise over his 2009 salary! So while the housing crash decimated income for agents and brokers, the heads of Realtor Associations saw their paychecks keep rising through the downturn according to tax returns filed by the very same associations. We should be asking ourselves if the Realtor Association ideology is helpful or harmful to the working Realtor? I believe that less agents and brokers may not necessarily be a bad thing. Leaves the true professionals on the job. Yes, I believe that the DRE should screen new agents better too. Ethics seem to be only words to some agents and not the practice of, which has brought this profession spiraling downward in recent years. Weeding out the bad apples is always a good thing! Real Estate cost money and the MLS is too much for the newbies like me and you do need good training and a mentor. Mentoring is hard to find. The NMLS has pretty much caused more hardship on potential borrowers than it’s done good. Been a broker and lender for many years, licensed in 1976. I have made hundreds of personal and “brokered loans”. However, I have Gone Galt now and make zero loans in California. Decided it was not worth the hoops getting in the way of my normal business practices. Using the Internet I can do business in states more friendly to borrowers and brokers. In addition, some of the loss in agents and brokers could have been caused by DRE regulations and not the economy. Wake up California, and AMERICA! In addition, loans can also be made in foreign countries with rock solid “rule of law” foreclosure process. I obtained my license in 2004 and my broker at the time handed me off to one of his other salespersons to train under. The broker and everyone else was too busy to train anyone, so needless to say, I became discouraged by the lack of professionalism. “Every man (woman)for himself,” so to speak, was the attitude I left with. I have kept up with my continuing education and my licensing, so I am looking into a establishing myself with a broker who is willing to invest his experitise and time into his employees. So, not all salespersons are greedy and just in it for the quick money. Often, what I’ve been told by other realtors, training and commitment should be mandatory, not something left to chance. There is great opportunity in real estate, but also, great responsibility. I hope I am more fortunate this time around. Mary i hear what you are saying. When I started I interview with 3 brokerages. I chose and still work at Keller Williams Realty. A classy place to hang my license. Try them. Let me know how it goes. Not licensed yet, but building a pipeline of potential deals. Very interesting article and comments. Let all licensed agents/brokers fight to keep the Department of Real Estate, seperate from the Department of Justice. I would love to see the numbers pertaining to the “New” agents that have come out of the mortgage meltdown as compared to the true Professional Real Estate Agents that make a living in Real Estate. We have had an influx of new agents coming from the Mortgage Industry taking advantage of the contacts they had in mortgages to deal with REO’s and Short Sales. I’m guessing, but I believe that the number of agents who have left the business is even greater than this shows. Those opportunistic agents will only be here as long as their contacts provide them with business and then they will go to where the next quick buck is. wow, I am so glad you folks were able to stay in the business and struggled, while some of us, would have been homeless, or we had children to raise…I love real estate and I want to go back to it, but with all the set up fees, the fees for this and that…how in the world am I suppose to do that? In my first time through real estate was back in 1980 to 1986, we had 15% interest in Illinois…I had great mentors and wonderful caring and helpful brokers. When I first started, I didn’t know anyone…I was terrified…all of the Realtors that were there had been there forever…they didn’t treat me different because I was new…they helped me, therefore I helped them. I actually sold. I loved the business…I went back, or tried to in 2008 out here in California…I went for a big company…I should have gone with Century 21 but because it was close to home and a smaller office, wanted to get my feet wet, things were much different here and the times obviously changed…I received zero help from the other Realtors, some of them were married, and had been in the business for years and years….I got no help…I waited too long, I shouldn’t have even chosen that office…hindsight is 20/20–so don’t be so harsh on people that you don’t even know…I will go back, I will be more selective in the office I choose…so until you know the circumstances you have no right to judge…. If we want to improve the industry we need to raise the bar for who gets or renews a license. If we raise the standards we can professionalize our industry more and get the “speculators” out. But think about it? Who makes more money when we have more licensees? The real estate schools and the Department of Real Estate. They really don’t want to raise the standards. Then they would sell less courses and collect less fees. Doctors and nurses and other professions regulate the number of new workers by their standards. Raise the standards…lower the numbers. I don’t know about agent but I have seen some brokers that always push the client to buy. They even justify by saying things like ‘if you don’t buy, the market price is going up soon’, or you ought to offer full price or otherwise the seller won’t look at your offers. Ethics in this profession is very hard to enforce and more uninformed or naive buyers are harmed than being helped. I have read many different posts and this is the most interesting article I have seen all week. Thank you for this! Nacy is right that it’s way too easy to get an agent license. It’s also too easy to renew. I just did that and it was no sweat. But even worse for our industry is fact anyone can go to the SAR store and buy a REALTOR pin and pretend he is one. Just astounds me how little consideration we give to our reputation, as an industry. When I asked the clerk how he could justify selling those pins to non-members his reply was that they had to pay $2 more for the pin. Now that’s protection! I agree with Joseph Sarria – instead of the DRE making it close to impossible to figure out what a broker has to do to get a NMLS endorsement on her license in order to do loans. The DRE could start by making it more difficult to obtain a salesman’s license…Now for the NMLS endorsement one must have a background check, pre-licensing education, SAFE act, 20 hours of education, take their test, have a credit check and fingerprints, not to mention NUMEROUS fees and charges…The NMLS website has to be the most confusing I have been in contact with so far, and I’ve been licensed as a broker since 1984 and licensed since 1976. Make it more difficult for the “newbies” – make THEM have a sponsor, and fulfill all the other requirements that the government keeps throwing up in front of us. I was an appraiser for several years until they required licensing. Could not find a sponsor. Got a trainees license, but could go no farther. End of story. Everything is becoming more and more difficult – EXCEPT the ability to obtain a salesman’s license. They are still cranking them out to flippers, etc. The article hits it right on the money. The market is ful of agents when the business boom, and then they leave when things go bad. They are not true professionals, they are oportunistic and liable to do anything to close a deal. Therefore the high rate of fraud in the market. Flipping property, and working with crooked mortgage brokers and agents, who would forge any document to make the points. This is the people the DRE needs to get rid of, permanently. The image of the industry is in such disarray that a clean up is a most for it to recuperate its status.